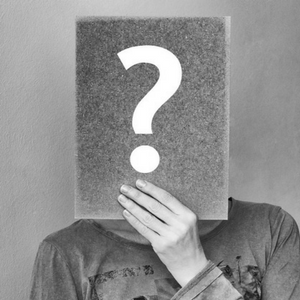 We all know the big ERP vendors, but who are the industry movers and shakers? 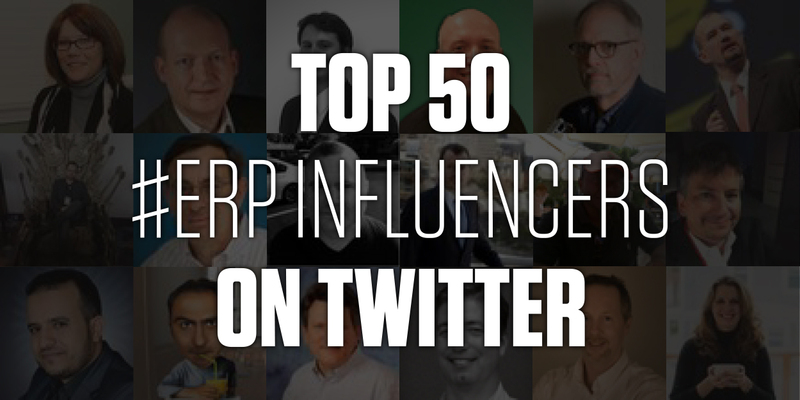 Using Buzzsumo, we’ve searched the Twittersphere for the world’s top ERP influencers. These people were identified based on a number of factors, including tweeted topics, followers, and the number of tweets and retweets around the topics #erp and #erpsoftware. Don’t forget to follow these accounts for the latest trends, news and opinions in the field of ERP. You won’t regret it. Note: These are in alphabetical order. Board member of Tryton Foundation and co-owner of NaN·tic; specialists in open source ERPs. Active developers, devoted to user support and software guarantees. Director of Marketing at CAL Business Solutions, a Connecticut-based Microsoft Dynamics GP and Acumatica Partner. 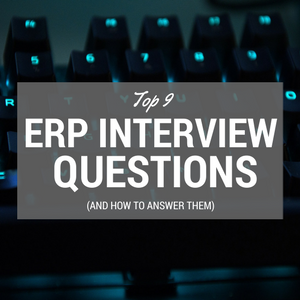 Also the founder of several group blog sites for the industry, including the ERP Software Blog. Business, IT and ERP Consultant at Dimensional Business Solutions, and Consultant at Britec Computer Systems. Specialties include software implementation, data conversion, and workflow design. CEO of Navica and Cloud blogger for CIO Magazine. The author/co-author of five books, including Amazon Web Services for Dummies, the bestselling cloud computing book. 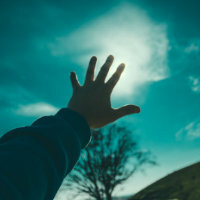 Ex-Oracle CCO helping businesses talk about customer success, innovation, and vision via world-class storytelling, executive interviews, keynotes, and social campaigns. Software Engineer passionate about Java, PHP, Sybase, MySQL, PostgreSQL, MariaDb, CRM, ERP, AIESEC, Apple and Zend Framework. President at Epic Sky, Director of Marketing at QuantaCRM and Azamba. Primarily focused on Encompix ERP, Intuitive ERP, NetSuite, Microsoft Dynamics 365 CRM, Sage CRM, Sage 100, Sage 500, Sage X3, Sage HRMS, Made2Manage, and Acumatica. Managing Editor and Principal Analyst at Constellation Research, a technology research and advisory firm based in Silicon Valley. Also, Senior Editor and Research Analyst for the Americas’ SAP Users’ Group. Sales and Marketing Manager at Elioplus, a B2B business development platform that helps Software and SaaS companies, that offer a partner program, to find new Software and SaaS resellers. Microsoft Dynamics NAV Consultant with over 10 years experience. Microsoft Certified Professional with excellent knowledge and skills, mostly functional, in Dynamics NAV. Founder of Mint Jutras. Spent the last 10 years benchmarking the performance of software solutions in the context of the business benefits of technology. Managing Director at Priority Software USA and CEO of Performa Apps ERP. 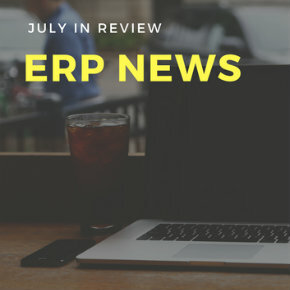 Over 15 successful Infor ERP implementations including Flex (Flextronics), Progress Rail, Snap-on, Blue Bird, and Busch, etc. President and Principal Analyst at Interarbor Solutions. A creative thought leader on the software-defined hybrid cloud, IoT, big data and digital transformation. Prolific blogger and podcaster. Senior Director working in Oracle Financial Applications Product Development. Leading development of large scale software products and delivering continuous innovation. SAP Business One Consultant at Vision33, the global leading reseller for SAP Business One to small and medium enterprises. based in Los Angeles. Founder and CXO of Agile Elephant. Passionate about helping people understand the shift to digital, the implications of new business models, and how businesses can do more with less. Technology COO at Bridgewater Associates and Founder of the OracAlumni Network. Enterprise Software veteran, with over twenty years’ experience from user and buyer to VP, CEO and Board Member roles; from Procter & Gamble to Oracle, SAP and OQO. Managing Principal at MarPaso Services. Helps highly regulated industries, energy, public sector and healthcare with enterprise software project planning and change management. Managing Partner and Founder of Panorama Consulting, the world’s leading independent ERP consulting firm. President of Strativa and of Computer Economics. With over 30 years of experience, he has led or participated in business strategy, IT strategy, and business improvement projects for organizations in a broad range of industries. ERP Cloud Strategy Director at Oracle. Helps customers select, implement, and manage ERP solutions across five industries; manufacturing, professional services, staffing, retail, and telecommunications. CEO and Founder of Santa Clarita Consultants. Helping companies optimize productivity and take complete control of business processes with the best ERP software and support for over 25 years. Diginomica co-founder and Enterprise Irregular who blogs and videocasts on key enterprise trends. Digital Finance and Supply Vice President at Oracle. Passionate about business transformation, digital, and innovation. Sales Consulting Director at Oracle. Building an efficient and agile information system that will support business growth by taking into account this new world of digital economy, as well as the new way to consume IT with the Cloud. President of LMA Consulting Group and President of APICS Inland Empire Chapter. Specializing in the supply chain, ERP and S&OP to help manufacturers and distributors elevate business performance. Director of Global Cloud Platform Management at Ingram Micro Cloud. Also, a Contributing Author for Forbes, areas of coverage includes CRM, Cloud Computing, ERP and Enterprise Software. Executive Management Team and CEO Americas at iXerv. Widely-recognized expert in SuccessFactors and SAP ERP HCM providing end-to-end HR services for large, global enterprise customers. Co-founder, perpetual innovator and continuous community worker at metasfresh ERP. An Open Source and UX enthusiast. CEO at Horizon2Technologies. Interest lies with business systems; digital disruption, people, and sustainability. Director of Content Strategy and Implementation at Oracle. Thrives on turning complex topics into compelling stories. Chief Research Officer at G2 Crowd. Published author, blogger, and thought leader on emerging trends in business software, digital transformation and customer experience strategies and technology. Vice President and Research Group Director at Aberdeen Group. 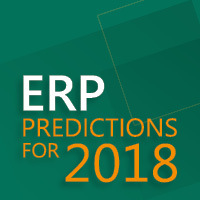 His enterprise applications research explores how ERP is used differently across industries, and how it can apply to all roles within the organisation. ERP and EPM Sales Director at Oracle. Helping organisations accelerate cost savings and innovations through digital transformation. Vice President and Principal Analyst at Forrester Research. Industry analyst following enterprise apps, SaaS/Cloud software, including HR, HCM, ERP and EPM. Co-founder of Diginomica. Loves to learn how businesses are transforming themselves thanks to today’s digital technologies. Principal Industry Analyst at Technology Evaluation Centers. Focuses on the enterprise applications market, with over 20 years of industrial experience within the discrete manufacturing sector. VP of Technology and Strategy at Juniper Networks. An entrepreneur, writer, speaker and recognized influencer in cloud computing. Retired ERP Software Executive. International experience working globally with Customer C-level executives, Microsoft, Microsoft Partners and Microsoft Dynamics ERP customers. Solution Development Lead – SuiteSuccess at Oracle and Demo Excellence Solution Consultant at NetSuite. Thought leader, innovator and charismatic speaker. Senior Solutions Architect. Business interests include website and blog hosting, SaaS solutions like CRM, Oracle ERP Cloud, e-Commerce, online store platforms and Cloud HCM applications. Branch Manager at Yemensoft. Over 11 years experience in the field of enterprise application solutions. Product Marketing Director, Finance and Workforce Planning Solutions at Anaplan. Passionate about bringing to life the value promise of anytime, anywhere, from any device. Consultant, Social Media for Channel Partners of Intacct Corporation. Focused on driving measurable social media results for Intacct’s channel partners. SVP Head of Product Management and Co-Innovation S/4HANA at SAP SE. Discovering key trends and best practices in the application of new technologies. Software Development Manager at Canford Audio PLC. Wide and varied experience of software development in the .NET ecosystem and expert in ERP. President and CEO of WatServ, one of the largest providers of Cloud Computing solutions for the expert operational management of hosted Microsoft Dynamics. VP of Sales and Marketing at Gravity Software with over 16 years experience in the software industry. Author of Silicon Collar and Founder of Deal Architect. Works on the leading edge of trends in various technology sectors and frequently advises clients on innovation projects. Publisher and Editor at Enterprise Irregulars and CloudAve. A software industry commentator, formerly of SAP, Deloitte and IBM. 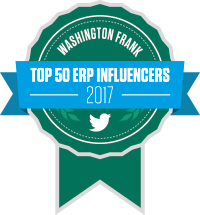 Don’t forget to follow these accounts for the latest ERP news and opinions. While you’re there, give us a follow @washington_frk. Get the latest news and views delivered straight to your inbox. You can unsubscribe from our emails at any time. ERP vs CRM: what’s the difference?